Thanks to you all for making ILI another huge success. 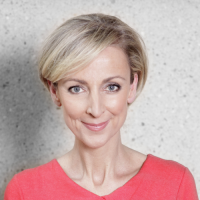 Former ABC News Director and now CEO of Australia’s State Library of Victoria, Kate Torney celebrates the quiet revolution within libraries and the sector's embrace of disruption – but suggests the time for modesty is over. ILI remains Europe's friendliest forum for exchanging ideas, learning new skills, hearing about new tools and tech, making unexpected connections, discovering practical solutions, and exploring new and interesting approaches – helping you make a difference to your organisation, clients and communities.